We find the best way to beat the holiday traffic is with a little help from an animal friend. 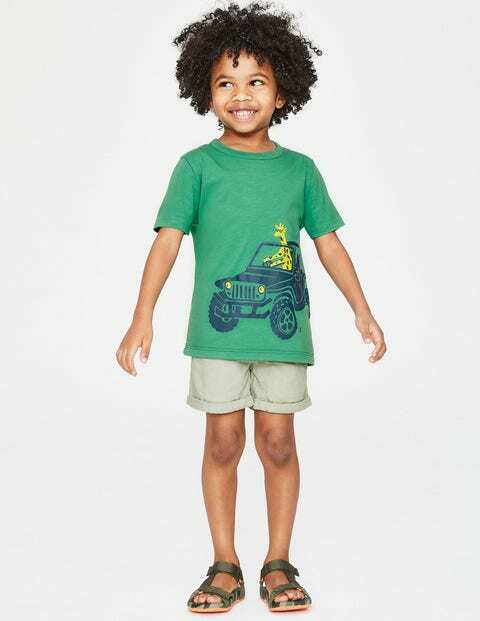 Our printed crew-neck T-shirt shows a safari pal zooming along at top speed. Made from special go-faster cotton (why yes, we did just make that up), it's comfortable for any road trip – and machine washable on arrival too.